℗ ℗ 2017 Deutsche Grammophon GmbH, Berlin under exclusive license to Verve Label Group, a Division of UMG Recordings, Inc. 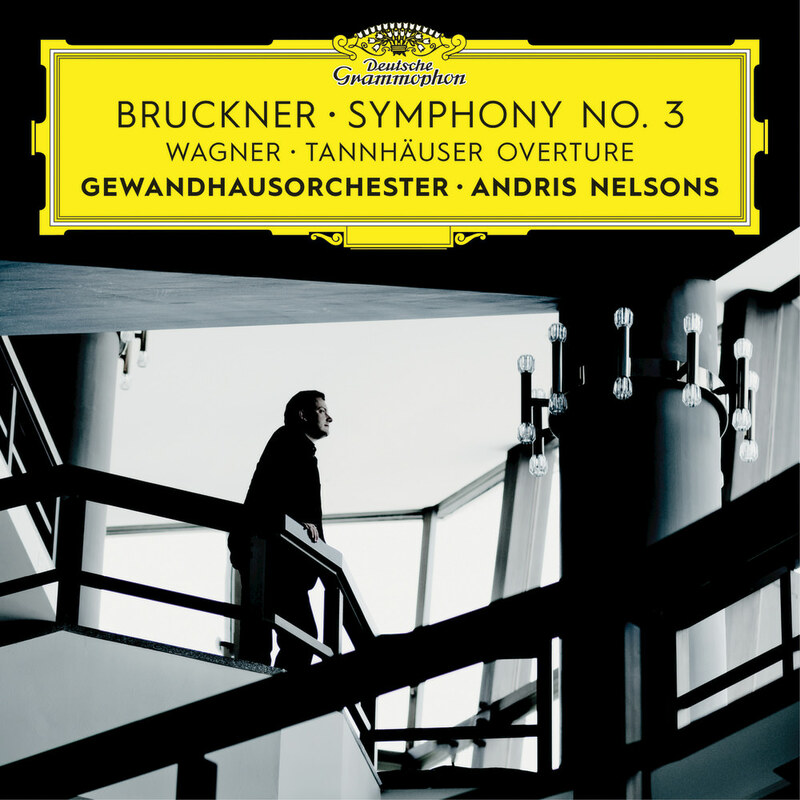 Multiple Grammy Award winners Andris Nelsons and the Gewandhausorchester Leipzig launch their complete cycle of Bruckner’s iconic symphonies with this recording of the Symphony No. 3, often nicknamed the "Wagner Symphony." Nelsons pairs the work with Wagner’s Tannhäuser Overture, offering the chance to hear Bruckner alongside the composer closest to his own heart. Bruckner's symphonies occupy a unique place in the history of the genre: bridging the classicism of Beethoven and Brahms and the narrative drive of Wagner, Bruckner brought a new structural breadth and a personal emotional scope focused on his devout faith. His powerful harmonic language and his fulsome, brass-rich orchestration were much influenced by Wagner and within the vast scale of his music he created spiritual journeys of exceptional intensity. "I am honoured to be embarking on this project with Deutsche Grammophon and with the Gewandhausorchester Leipzig to record the complete cycle of the Bruckner symphonies. This allows music lovers to follow the development of Bruckner’s thinking throughout his life. The Gewandhausorchester Leipzig is one of the world’s oldest orchestras, possessing a strong and special historical development with its connections to Bach and its Bruckner tradition. It is one of the best orchestras in the world, yet has such modesty, displaying a great understanding of the immense spirituality within Bruckner’s works."